Looking for some new wallpaper to decorate your Mac desktop, or the home screen of an iPad or iPhone with? 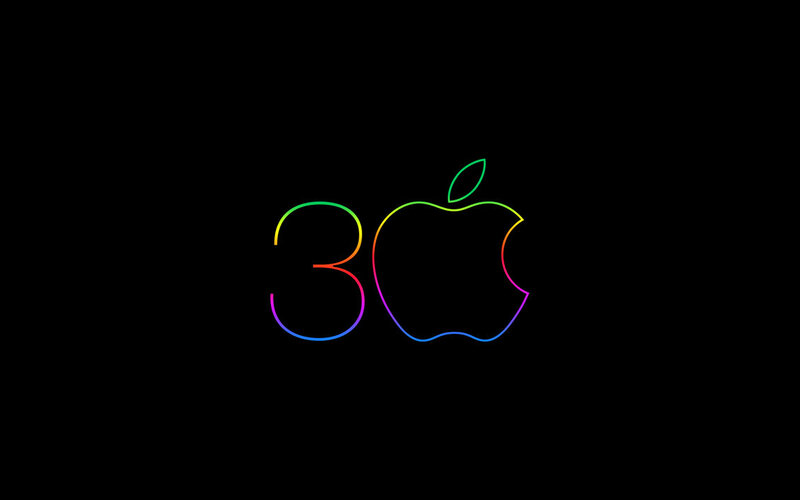 How about some that are themed with the Apple logo, or maybe even the 30th Mac Anniversary logo from this past week? That’s what this wallpaper roundup is focused on. We’ve got 16 20 of them for you to work with. 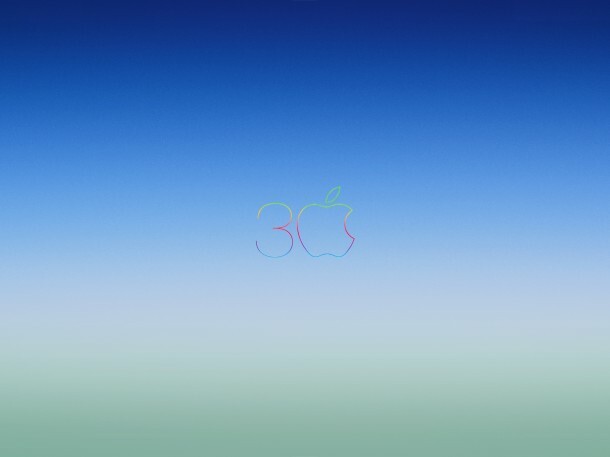 Half of these fan-made desktop backgrounds are featuring the standard Apple logo, while the other half are using the fancy multi-colored 30th anniversary Macintosh rendition of the Apple logo that was used on the anniversary Mac website (where the Mac anniversary icon font came from) or a slight variation thereof which removed the 3 but left the  Apple. 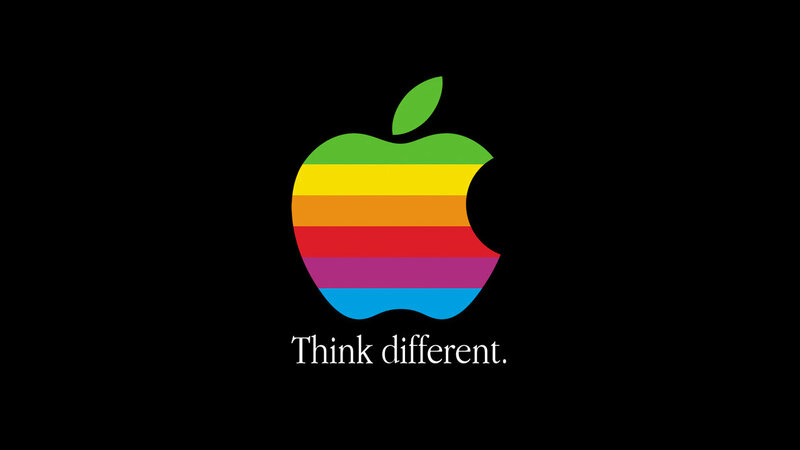 There’s even an awesome retro ‘Think Different’ desktop picture in there. 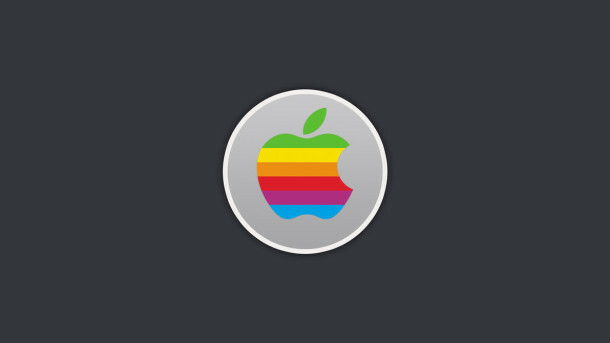 They’re all pretty snazzy, ranging from subtle gradients and colors, to some that are louder and brighter colors that will fit right into iOS, and even a few based on the familiar iOS nebula image and the big Mavericks wave from OS X. Check them all out below. Each wallpaper image is available in whopper high resolutions ranging from 2880×1600 up to 2880×2200, making them suitable for just about every resolution Mac or iPad out there. 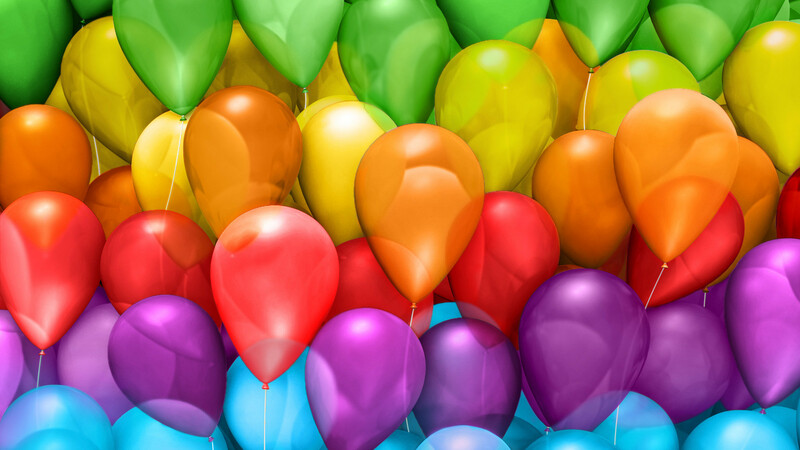 Just click on one of the images below to open the new (enormous) image in full quality. Thanks to Ryan J., Howie I, and Martin P. for sending these in, enjoy! By the way, if you’re looking to use these on an iPhone or iPad, be sure to stop the stretching thing from happening by turning off parallax or resizing it locally with a screen capture in the Photo viewer as described here. Not into these? Check out some of our past wallpaper roundups instead. Got any fancy wallpapers you want to share with us? Send them in! Here are some of my creations. I favor darker backgrounds with a splash of color in the middle. 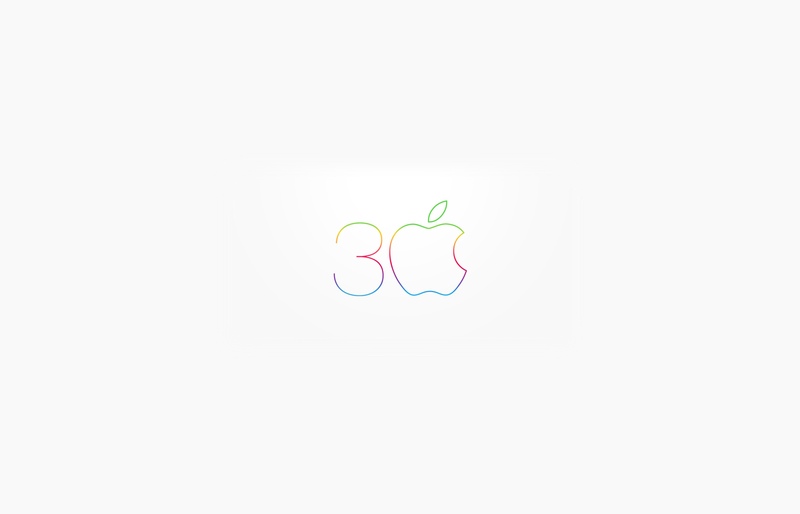 Apple’s classic logo provides that very nicely. These are great! I went ahead and added thumbnails with individual links to your DeviantArt pages for each one. Thanks for mentioning them! Thank you very much, but could you upload these wallpapers in 1280×800, please? I have a MacBook Pro. You don’t need these to be scaled down. Your Mac will handle that when you use them. If you’re really worried about it, you can always crop them yourself using iPhoto. It’s not necessary, just click on one of them to open a (much larger) version of the wallpaper, and then use the ‘scaled’ setting in the Desktop Picture panel to have it automatically resize to your screen resolution. I tried that at first, but then I decided to use a much larger 300dpi template that I have. 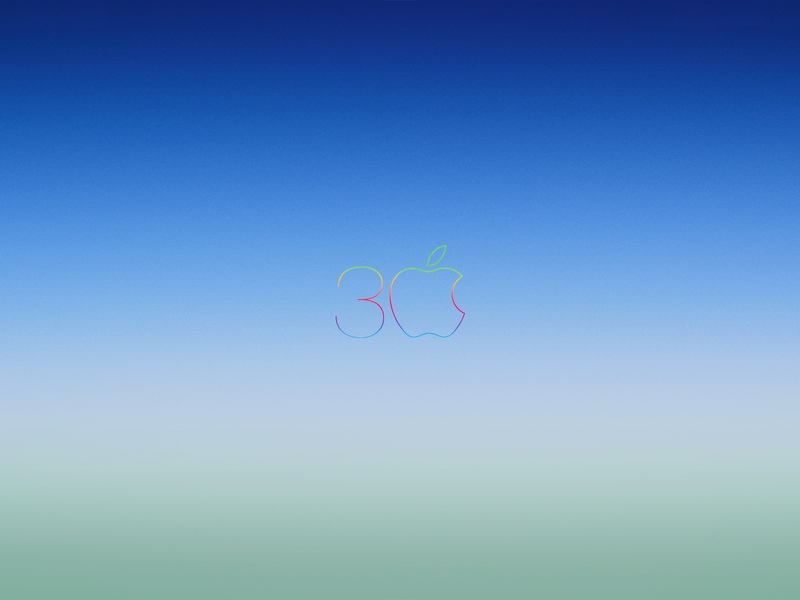 I created a gradient overlay that is exactly the same as this one.